Jerry Can. 20ltr. 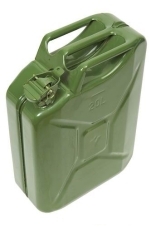 Heavy duty fuel can, holds up to 20ltrs. made from steel.